The number of adopted children in Hungary went up to 1,025 in 2017 from 754 in 2010, a 36 percent rise, Katalin Novák, the state secretary for family and youth affairs said in Budapest on Wednesday. 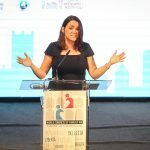 Speaking at an award ceremony of a grant programme for adopted children and their families, Novák said that the government has expanded the state family allowance to include families adopting children older than three. It has also introduced a follow-up system to ensure the children’s long-term safety in the family, and monitors open adoptions through the child protection services, she said. The programme, dubbed “Thanks for everything! – Life stories of adoption”, was sponsored by the National Association of Large Families (NOE).